The weather started out to be a very pleasant summer’s day however as we all know the weather in the North of England can change very very quickly and guess what? It did!! The rain began lashing down, the winds were 40mph head on coupled with a climb of over 10,000ft up into the Yorkshire Dales. A well-earned rest was had at the Tan Hill Inn for lunch (the highest Pub in the UK at 1,732ft) before the team were quickly back on their bikes to battle the extreme winds. It was a real shame says Colin Phillips that we could not get the full benefit of the lovely scenic English Countryside as with the wind and rain made visibility fairly poor. After 114 miles of very difficult riding conditions it had certainly taken its toll on the three guys as the end of the day could not come quick enough. 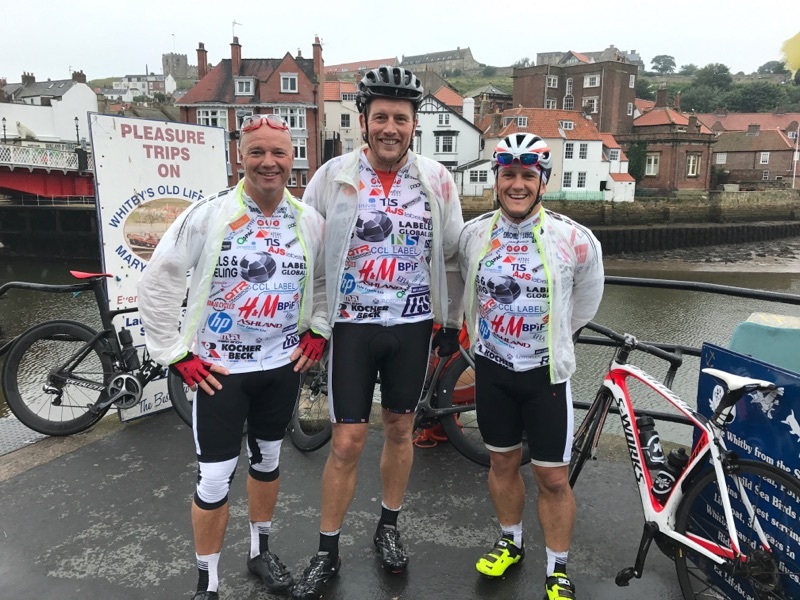 After a very well earned overnight stop at North Allerton the team had a final 51 mile push into Whitby, so a very bright and breezy start was in order but once again the weather conditions were terrible with driving winds and rain which were not expected in the middle of our British Summer! Then there were, surprisingly, still had a few huge hills to tackle before a final few miles downhill into the old fishing port of Whitby by the sea for some good old Fish and Chips! Herma UK's Divisional Director Colin Phillips said that It was a great team effort, extremely hard cycling against the elements however, after 165 miles it was all worthwhile at the end of the day as it raised money for people less fortunate than ourselves, The three charities were Breast Cancer Care, Cancer Research and Namuwongo's children charity in Africa. Feet up now for a little while until we come up with the next Challenge? 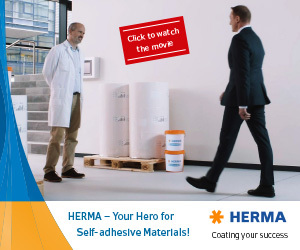 However we will be flying to Labelexpo this year and not riding! See you all at Expo!